Imagine being part of a research community where citizen scientists read World War I journals. Or how about joining environmentalists who tag pictures of garbage found along the seashore? What about sharing your photos of birds from your backyard with ornithologists? Fascinating projects like these are happening right now, and everyone is welcome to contribute. A citizen scientist uses information literacy skills to make observations, collect data, and share discoveries on a collaborative platform. Share the resources below with students, parents, and teachers who want to strengthen their inquiry muscles by getting involved with a significant science project. Get your camera ready on August 21, 2017, and snap some pictures of the solar eclipse. Send the pictures to the Eclipse Mega Movie Project . Scientists and Google will study the images and produce a continuous view of the eclipse! Take a look at this promotional video to get an idea of the project. The SciStarter website makes it easy to find a citizen scientist project in your area. The refinement tool aggregates opportunities by location or topic. An advanced research filter will find more projects based on the age of the citizen scientist and the preferred method of research. I found 163 projects for children ages 6-10 who want to work outdoors. You can keep track of your contributions on a personalized dashboard. Zooniverse has a discussion platform for volunteers to share their discoveries. Mother Nature gives us a lot to observe with every change of the seasons. Scientists need everyday people to record the changes they notice. Teachers will love Journey North because it offers lessons, slideshows, facts, activity ideas, and ebooks for children to learn more about plants and animals. Journey North’s opportunities are accessible to young scientists. The Museum of Science in Boston invites citizen scientists to help with their Firefly Watch research. If you enjoy observing these amazing insects as they light up your backyard, you might want to join this project. Your work will help scientists track the firefly population. 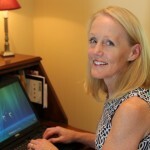 What can you expect to find in a book by Dianna Hutts Aston and Sylvia Long? Gorgeous illustrations, decorative font, and nonfiction text features. This is the perfect book for the nest projects found on the SciStarter website. Children will have fun searching for nests in their neighborhood and using this book to identify the animal that made the nest. Did you know that fireflies flash their lights with a certain pattern to find mates who flash with the same pattern? This is the story of how two fireflies meet. Beautiful photographs give the reader a close-up look at the bugs brilliant light. There is detailed information about fireflies at the end of the book along with a message about caring for these creatures. Share this story when introducing the Firefly Watch from the Museum of Science in Boston. This is a cute story about a boy who loves bees. One day, his favorite bees disappear. The reader will infer that the weather has something to do with their disappearance. Bee facts are included at the end of the book for children who are left with some questions. Visit the “Count Flowers for Bees” project from Zooniverse to help the bumblebee population. Budding astronomers will appreciate this book about a young girl named Phoebe who is fascinated by the planets. City living makes it difficult to see the night sky. A power outage gives Phoebe the opportunity to see the starry sky. Information at the back of the book answers questions about the solar system, planets, telescopes, and light pollution. If students want to learn more about light pollution, there are 5 citizen scientist projects on SciStarter that need their help! Pair this book with Bright Sky, Starry City by Uma Krishnaswami to learn more about the night sky. The images, captions, and diagrams make Stargazing the perfect book for young scientists. There is a definition of what a citizen scientist does with an encouraging note to give it a try! 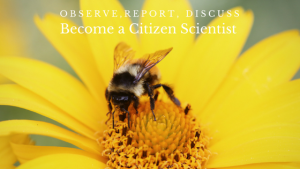 Are you a citizen scientist? Please share your experiences in the comment box below! Love the pairing of books with these science opportunities!